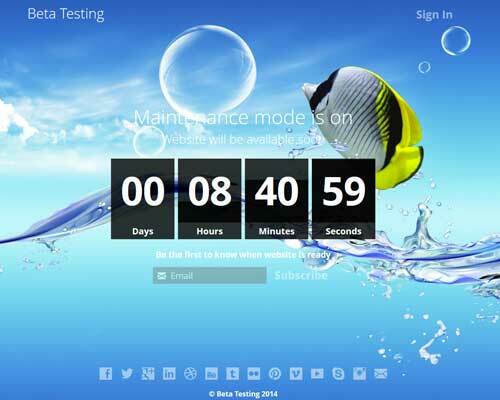 WordPress Coming Soon Plugin allows you to set up a high converting coming soon or launch page for your WordPress blog. 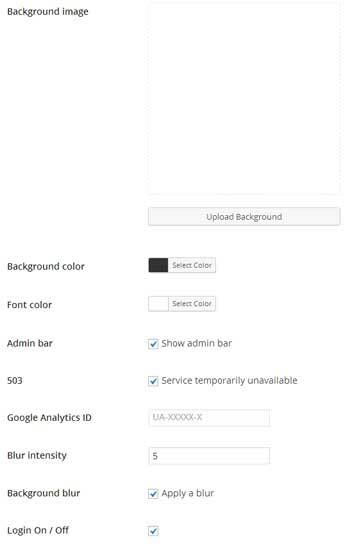 When someone views your website they will see a coming soon page while a logged-in user (example: the administrator) can continue to work on it behind the scenes. Capture leads and automatically add them to your MailChimp email list. 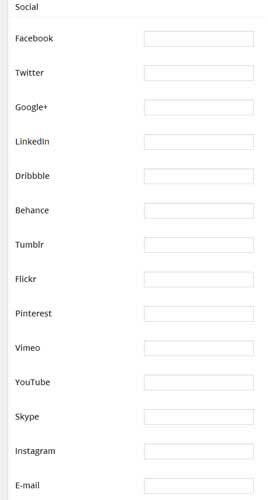 When you activate plugin there are some settings that you need configure to customize the content for your coming soon or launch page. 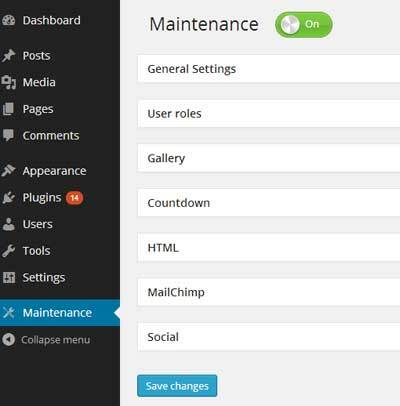 You can access the plugin settings by navigating to Maintenance menu from your WordPress admin dashboard. 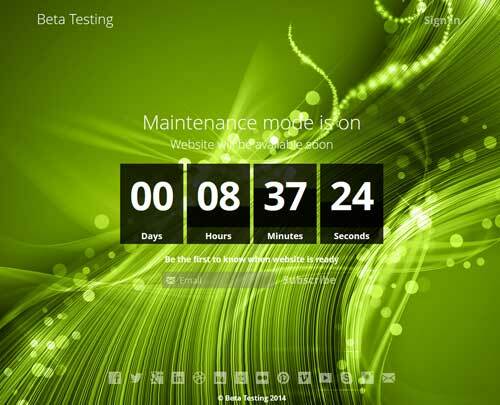 The Settings page is where you can enable the “maintenance mode” which prevents normal users from viewing your actual site content and instead they see a coming soon page. 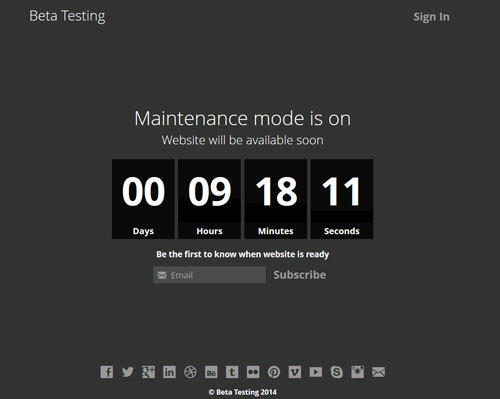 You can easily customize the title, headline and the description of your coming soon/maintenance page. 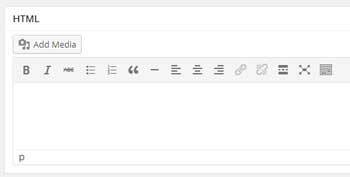 If you have a logo that you wish to display instead of the title you can do so by clicking the “Upload Logo” button. There are some other options that you can configure in the General Settings. You can create a gallery of background images for your coming soon page which will automatically change based on the time specified in the “Delay Time” field (example: 7000 = 7 seconds). In the countdown settings you can specify a date when the maintenance will be over (the countdown will automatically start). 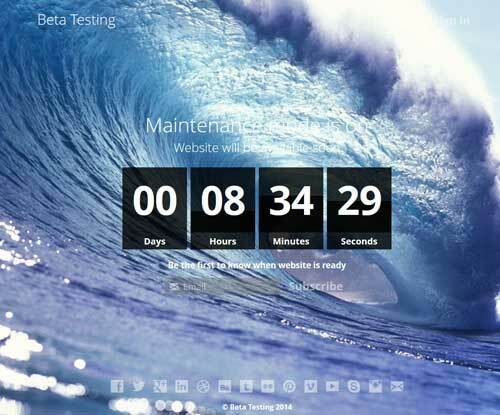 You can enable the “Maintenance off after expiry” option If you wish to automatically take your website live once the countdown goes to zero. 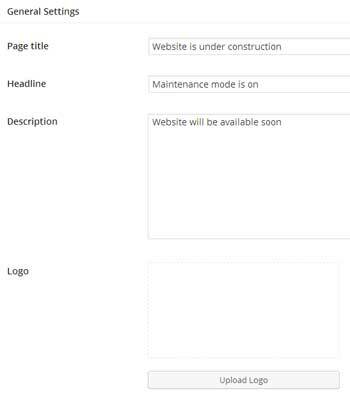 You want to add custom content to your coming soon page you can do so in the HTML settings. You can specify your MailChimp credentials in the settings so users can subscribe to your MailChimp list (There will be a textbox on the coming soon page where a user will be able to enter their email address and subscribe).